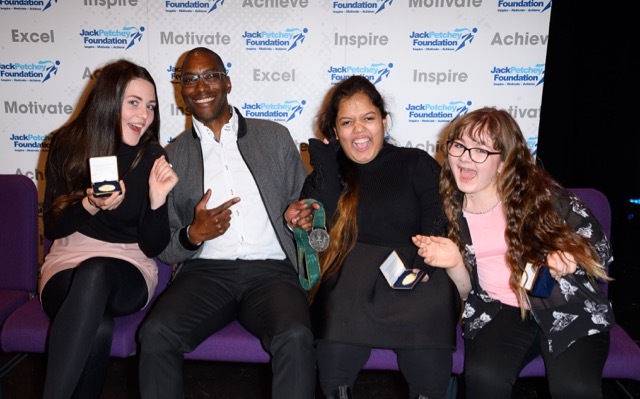 On Thursday 4 May 2017 student Lainey and riders, Ducky and Rebecca attended the Jack Petchey Foundation Essex Regional Youth Awards at The Civic Theatre, Chelmsford. The fun packed night included music and performance as well as a talk by Mark Richardson. Mark was part of the 4 x 400m relay team that won silver at the Atlanta Olympics in 1996 and gold at the World Championships in 1997. Mark also presented the Barrow Farm winners with their awards. Lainey received her award for showing exceptional care and enthusiasm in her work. Her communication skills with autistic riders have enabled them to really benefit and enjoy their riding. Ducky received her award as she has worked really hard to improve her riding skills, especially when riding independently off the leading rein. When Ducky started riding with us she was lacking in confidence but in the last six months she has the gained the confidence to not only ride off lead in walk but also start to do so in trot. 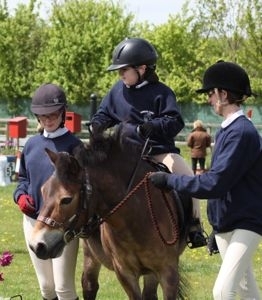 Rebecca received her award for working very hard in her riding, in particular to learn and improve her rising trot, this has improved her confidence as a rider. Congratulations and a big well done to Lainey, Ducky and Rebecca!